Spring is a wonderful season for so many reasons, not the least of which is the explosion of wildflowers that spreads across our state beginning in February and lasting through May. 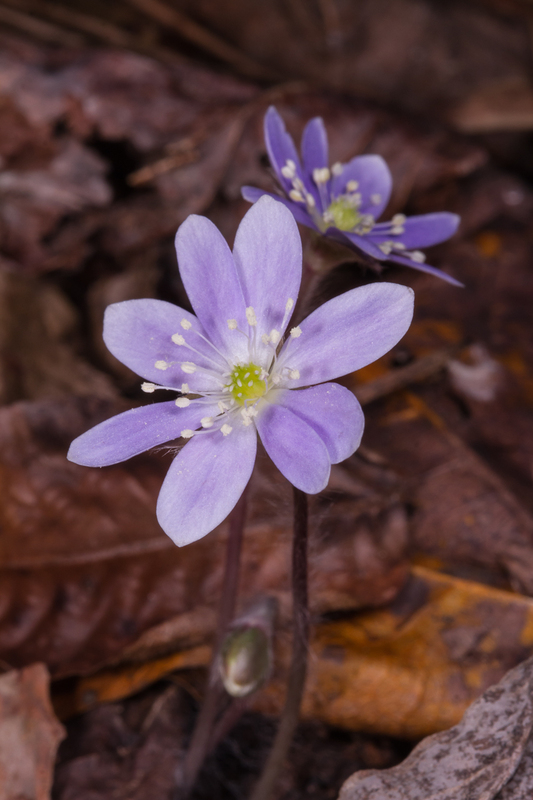 One of the earliest of these beauties is Hepatica. 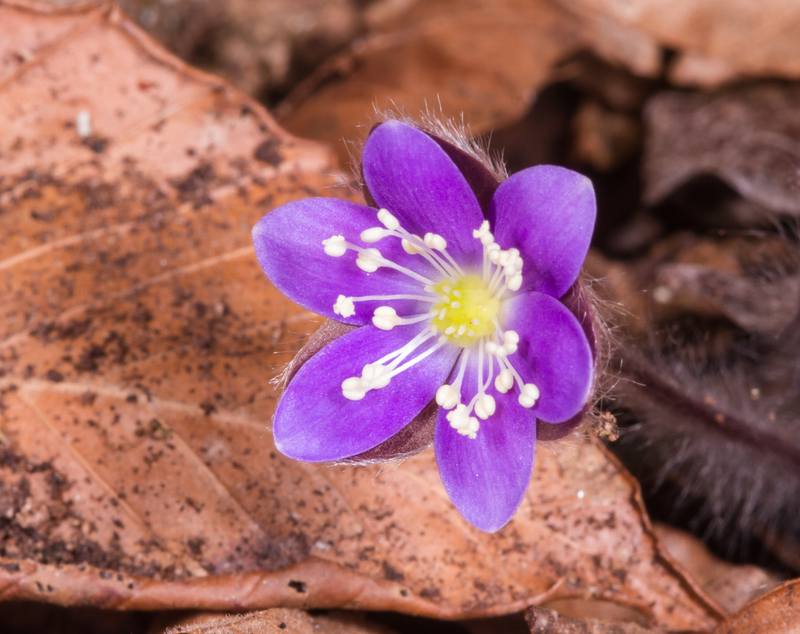 I saw my first Hepatica flower here in the woods near the house on March 11. On my trip to Pilot Mountain State Park this past weekend, there were many patches of Hepatica just begining to bloom on steep slopes near the oxbow pool and along a small stream we explored. Spotting them peeking out of the leaf litter is one of the simple joys of a walk in the woods this time of year. The small flowers are easily overlooked if you walk too quickly, but once seen, they demand that you get down on the ground for a closer look. Combine that with the amphibian eggs and larvae we saw, and you have the perfect start to the season. Hepatica leaf from last year. Older leaves have splotches of purple on them and are reddish-purple underneath. 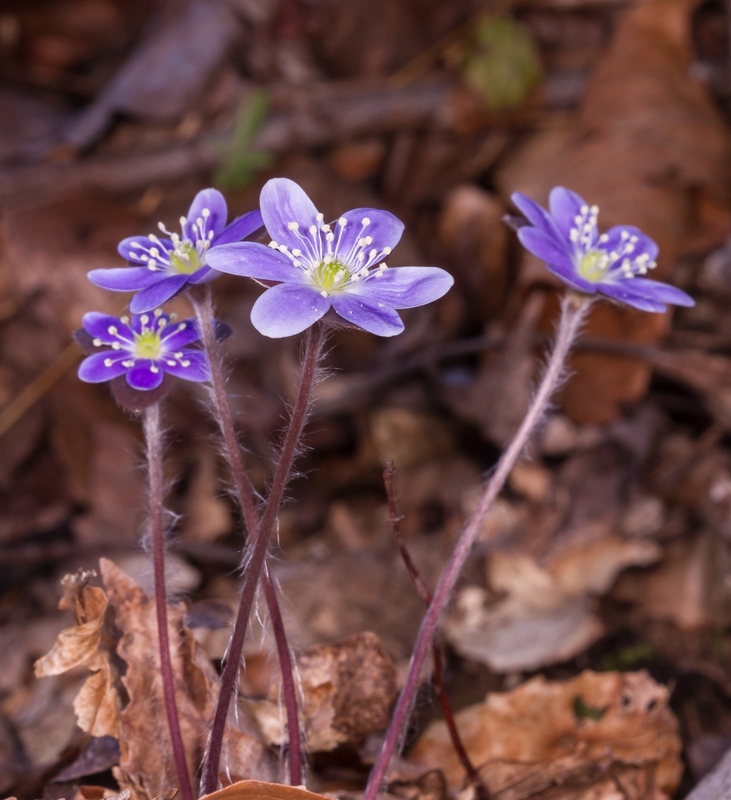 The word hepatica comes from the Greek word hepar, meaning liver. The three lobes and the purplish color of older leaves do somewhat resemble a liver and this plant was once used to treat liver ailments. Herbalists once believed in the so-called Doctrine of Signatures, in which plants that had any resemblance to human body parts were thought to be useful in the treatment of ailments of that part of the human body. Hepatica leaves are evergreen with the ones you see early this spring being last year’s leaves. They no doubt are able to photosynthesize on warm winter days and then go full tilt in early spring before many other woodland ephemerals are even out. This may give them a head start on many of the other spring wildflowers. The old leaves die back and new ones emerge following the flowering. The small, delicate flowers of Hepatica are usually lavender to blue in color although I have found some that are pinkish or almost all white. They vary in number from 6 (the most common number) to 8 or more. 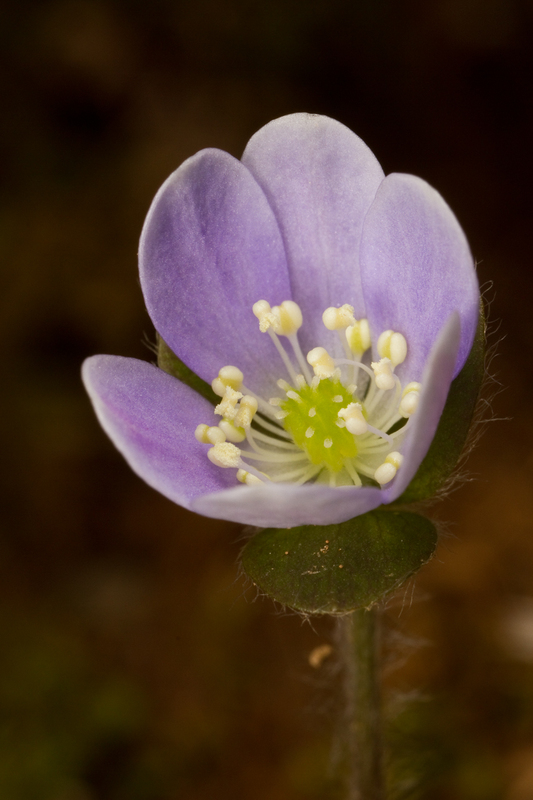 And it turns out they are not what they appear to be – what look like petals are technically the sepals – Hepatica has no true petals. And the three fuzzy things beneath the flower that look like sepals are actually bracts, or specially modified leaves. But it really doesn’t matter to a pollinator or a woods-walker looking for signs of spring. 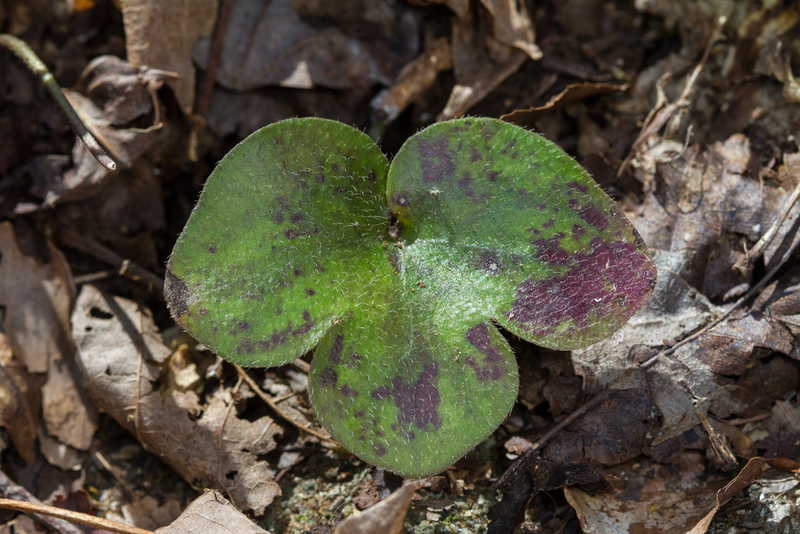 This entry was posted in Natural History, Trip report and tagged hepatica, pilot mountain state park by roadsendnaturalist. Bookmark the permalink. So nicely written. Thank you.